Who knew your pet was a Star Trek fan? You did, and that's why you bought this undeniably cool Star Trek The Original Series Gold Uniform Dog Collar! Made from custom woven nylon, this dog collar replicates the look of the bridge crew (Command) division on the original Star Trek TV series. 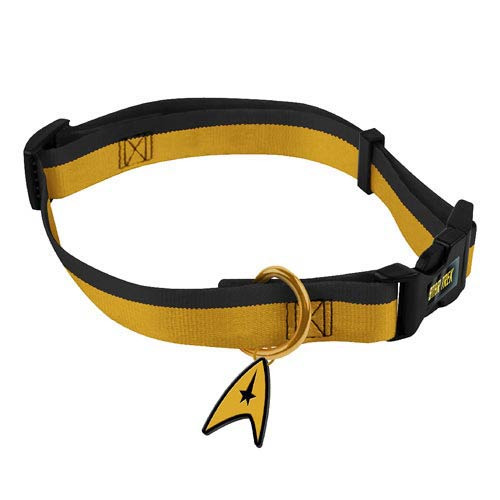 The Star Trek The Original Series Gold Uniform Dog Collar even features a rubberized insignia charm and reflective Star Trek logo plastic clip for an authentic look!